3 players with two balls and one player ready to pass from the back. One passes from the side to the man in the middle who takes a shot. 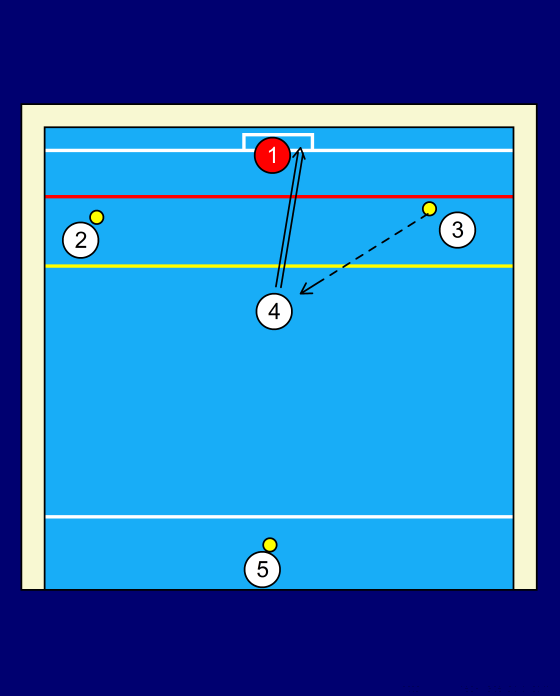 Pass from one side to the other and shot. Middleman to pass to the side that hasn't taken a shot yet.